Recently, I’ve been interested in competitive Pokémon battling. I’ve always loved Pokémon and have followed all installments of the franchise, but never really got past the basics of it. So I read a couple guides and discovered that there was a lot more to Pokémon than I initially understood, which then changed the way I played the game. At the same time I was figuring out how to properly breed for perfect IVs and ideal natures, I was taking a class called “Indigenous Futurisms” which focused on American Indian and Indigenous peoples’ modern works of film and literature in the science fiction, fantasy and horror genres. One of the fantasy books we discussed was entitled “The Way of Thorn and Thunder” written by Daniel Heath Justice. This is quite a hefty book, about 600 pages including a glossary of terms and names, but it kept me on the edge of my seat and I got through it quickly, which was surprising considering I’m a slow reader. The basics of the story follow the clash between ideologies of humans and a group of beings known as the Folk, which are humanoid-like creatures. Going back to the Pokémon part of this article, I decided to make a team of Pokémon that a), I like, b), work together to make a cohesive team, c), win some battles in the UU tier, and d), fit in with the themes and characters of this book. So, here are my Pokémon, stats, and move-sets along with their connections with characters from the story. The images provided I drew myself, using pencil and colored pencil. My lead is Wyr, a He at Rotom. It’s Choice Scarfed Timid nature give it priority to move first in a battle, which is ideal for Volt Switch-ing for preliminary damage and momentum or for Trick-ing it’s Choice Scarf onto unsuspecting Pokémon. Then, no longer restricted to one move, Wyr can Will-O-Wisp or Overheat to take down those foes. EV investments are evenly distributed between Speed and Special Attack, with the remaining into Defense. Wyr is the life energy of the forest in which the Folk reside, and it provides power to those who can wield it. 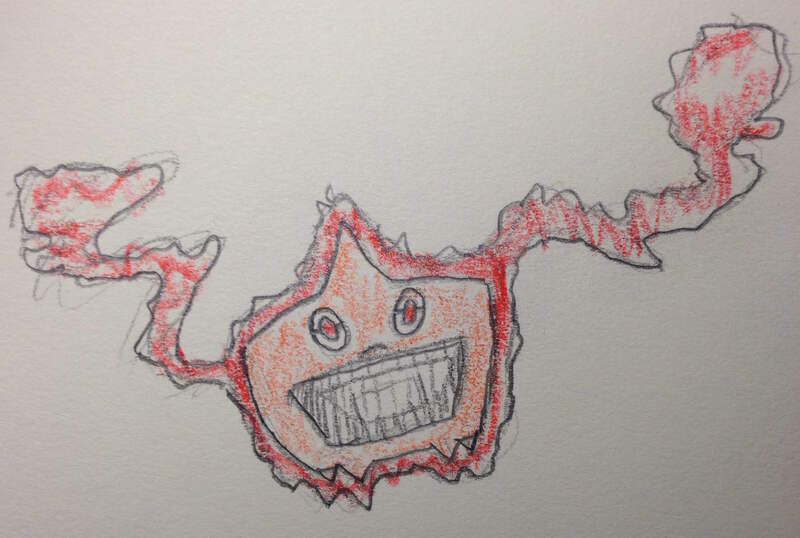 I thought a Rotom would be a good choice for this because of it’s ghostly nature, and being electric type I can imagine it literally providing power to the Folk. Heat Rotom was chosen mainly for typing balance. My Special Defensive wall would be Unahi, a Tentacruel. With EV investments in HP and Special Defense and holding Black Sludge for extra recovery, this Pokémon is a force to be reckoned with, just like the character she is based on. Unahi is a Kyn, a race of Folk with specific ties to plants. Kyn have tendrils growing from their faces, known as sensory stalks, which I thought were similar to the tentacles on Tentacruel. 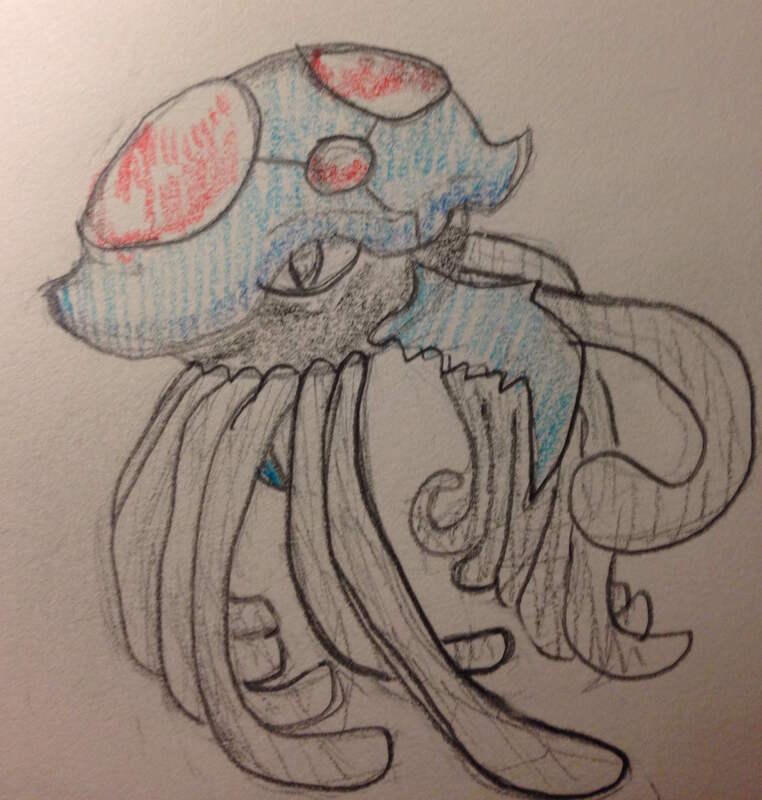 Also just the fact that Tentacruel is water type is tied with Kyn-like properties, as water provides life to plants. Unahi harnesses Wyr and provides guidance to other Folk. This Tentacruel keeps it’s teammates safe by using Rapid Spin to eliminate dangerous entry hazards while dishing back entry hazards to the other team through the use of Toxic Spikes and Knock Off, similarly to how Unahi in the book protects her friends and weakens her foes. Scald, with it’s probability of burning, is also essential for crippling Pokémon with high Attack. 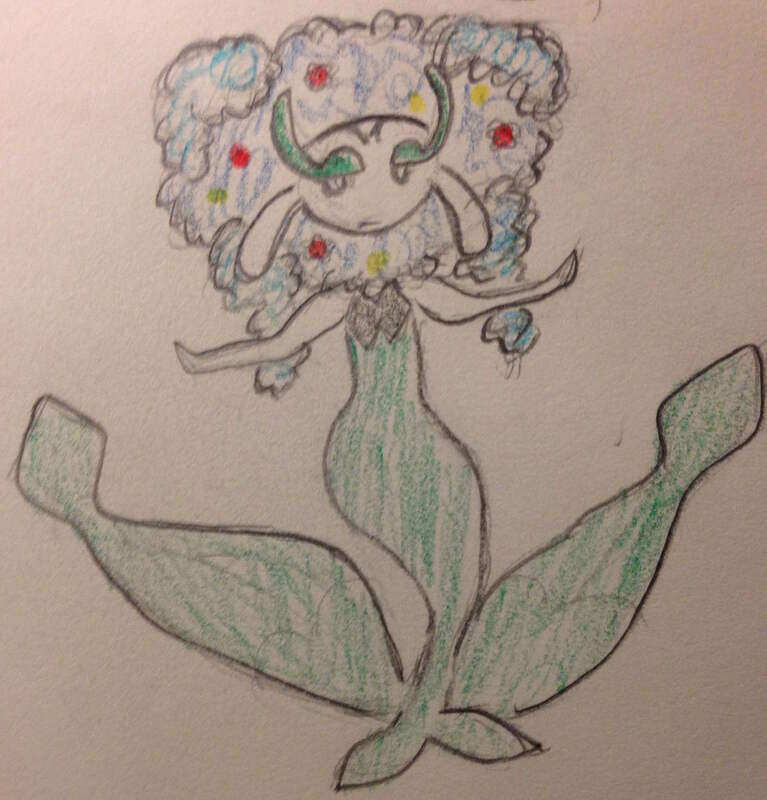 Then th ere’s Fey, a Special Attack-focused Florges. Fey is another word for the Folk, used by the humans. This Florges is more supportive, like the Fey community. With Aromatherapy and Wish, it can bring back team members on the brink of death. Giga Drain and Moonblast provide stab Special Attack in addition to recovery for Florges. Holding a Kee Berry also extends her battle time as it boosts her defense. 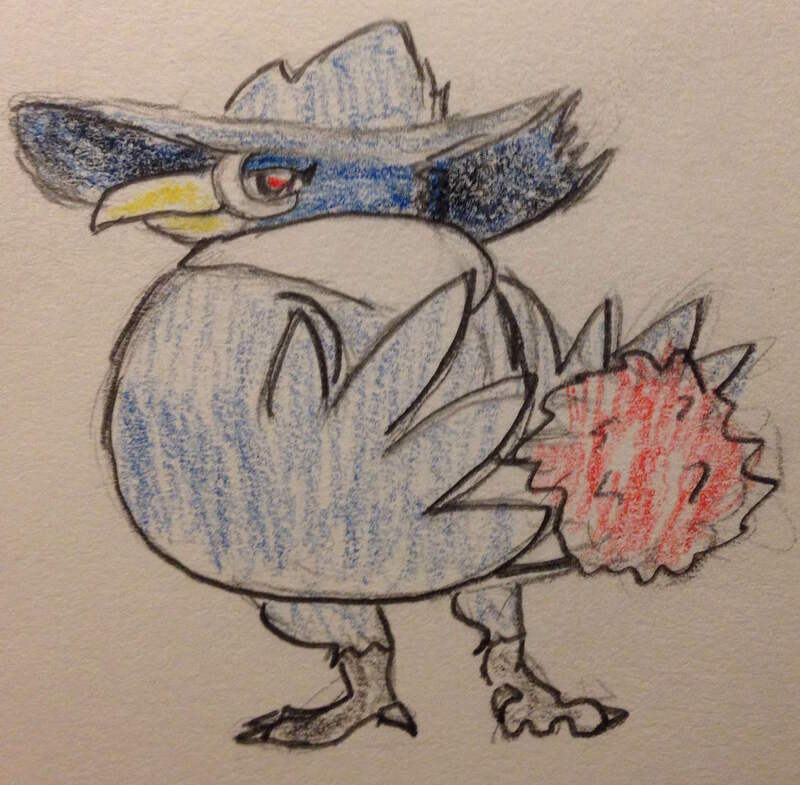 Kishkaxi is a Moxie, Life Orb holding Honchkrow, a major Attack threat with Sucker Punch, Roost, Brave Bird and Pursuit. EVs in HP allow for Kishkaxi to stick around and take a hit or two while Attack EVs provide punch behind the Life Orb and the Attack boosts from Moxie kills. The remaining EVs were put into Special Defense. Kishkaxi in the book is a Feral, a race of Folk that have human and animal-like qualities. Kishkaxi is a specifically a Harpy, the most powerful Feral with features comparable to eagles, which is easily represented by a Flying-type Pokémon with lots of Attack power, such as this Honchkrow set. 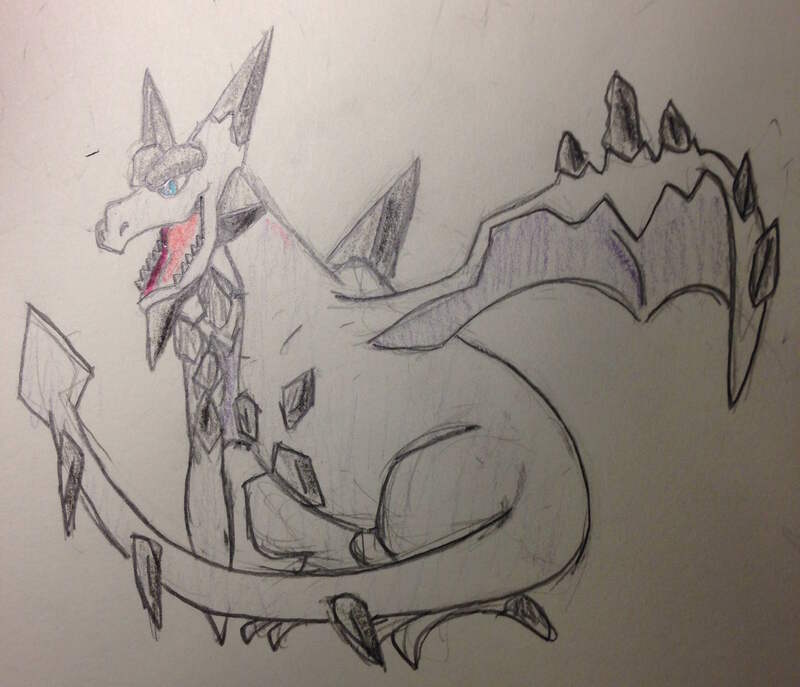 And then there’s my Mega-Aerodactyl, Guaandak, the only male on my team. 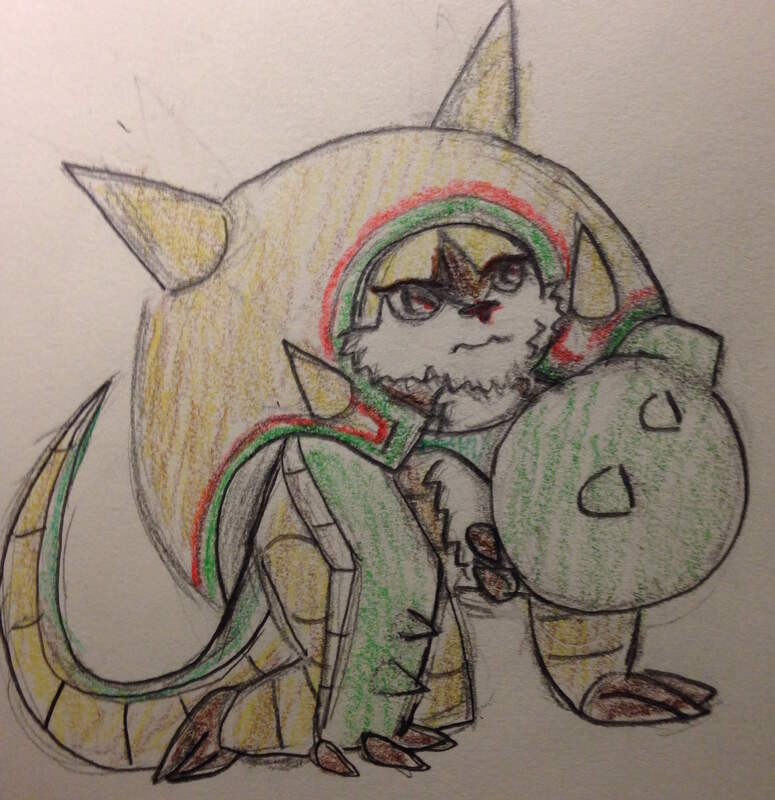 Guaandak is the emperor of a patriarchal Folk race known as gvargs (how to pronounce that, I have no idea), or earth-dweling giants with connections to rock and soil, perfectly represented by a Rock-type and fossil Pokémon like Areodactyl. While it may be a glass cannon, Mega Aerodactyl’s speed is almost unmatched and it can do a lot of damage with it’s decent Attack stat. Stone Edge and Earthquake provide stab while Aqua Tail can provide surprise for other foes, which is representative of gvargs strength and Guaandak’s intelligence as a leader. Hone Claws can be used to further outsmart Sucker Punch users and gain additional Attack power, plus boost in Accuracy for lower Accuracy moves like Stone Edge and Aqua Tail. So this is my team based on characters and themes from “The Way of Thorn and Thunder” by Daniel Heath Justice. I’d highly recommend this book and all of these Pokémon I use on this team. Sure, there are still a lot of issues I need to work out with this team, but I’m really enjoying the way that these Pokémon all work together.